Yes! We met Libba Bray! The Printz-award winning author of Going Bovine, Beauty Queens, and the Gemma Doyle trilogy is every bit as fabulous as you would imagine. We got to chat with her about her upcoming Fall release from Little, Brown, The Diviners (which you are going to LOVE!) -- we discussed her favorite 1920s slang and how librarians aided her historical research, as well as her journey to becoming a writer. 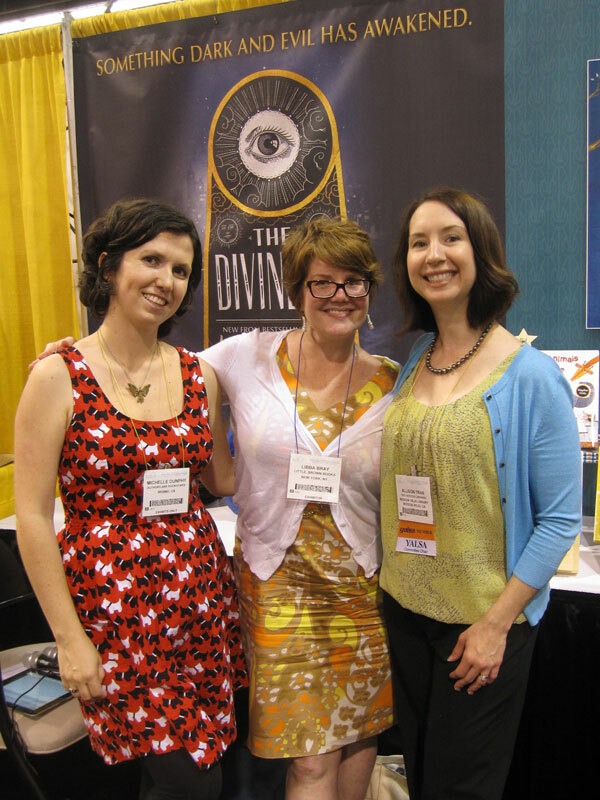 If you're not familiar with the awesomeness of Libba, visit http://libbabray.com to learn more. You will adore her. And that's not all! Not only does this episode of the podcast feature the lovely Libba Bray, but we were also lucky enough to snag a quick interview with her editor, the amazing Alvina Ling. If you've listened to our interviews with Laini Taylor and Grace Lin, you've heard them mention Alvina. She's the Editorial Director at Little, Brown Books for Young Readers, and she ROCKS. Libba and Alvina are both brilliant. Thanks for this!